Xu Yongguang is the Chairman of the Narada Foundation, the Vice President of the China Charity Alliance, guest researcher of the Counsellors Office of the State Council of PRC, the Honorary board director of China Social Enterprise and Investment Forum, and the Honorary Chairman of the China Foundation Center. He was a member of the Ninth and Tenth National Committees of the Chinese People’s Political Consultative Conference (CPPCC). Mr. Xu founded the China Youth Development Foundation after he resigned from head of the Organization Department under the Central Committee of the China Communist Youth League in 1988. 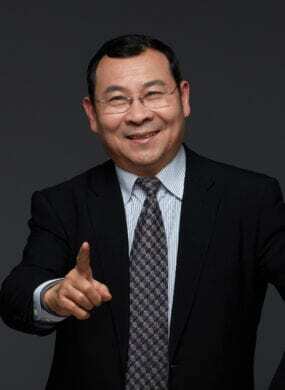 The Project Hope founded by him has been developed and recognized as the most influential philanthropic brand in China. In 2007, he co-founded the Narada Foundation with a mission to foster civil society and promote the development and social innovation of the philanthropy sector. Mr. Xu is a renowned thinker and practitioner in the field of civil society organisation operation and research with over 30 years experience and tremendous contribution to the civil society sector. He is the Chief Editor of China's Third Sector Study Series and the author of Inquiry of the world—Project Hope in Xu Yongguang’s eyes and Social Enterprises，Where Philanthropy meets business. In recent years, he has been endeavored to push for structural reform of China’s philanthropy sector and shape a modern philanthropic culture. He initiated and co-founded the China Foundation Center which has made significant progress in promoting transparency and credibility of foundations in China.